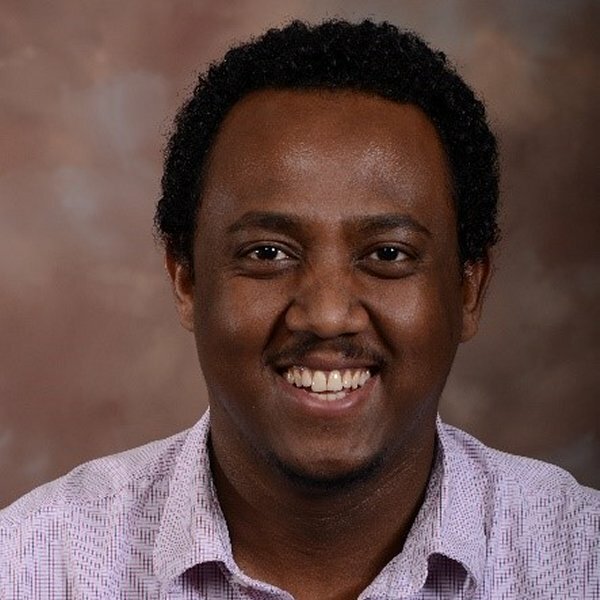 Andualem S. Shiferaw is a Ph.D. student in natural resources at the University of Nebraska-Lincoln with a Climate Assessment and Impacts specialization. His dissertation research focuses on the evaluation and development of new state-of-the-art seasonal climate prediction techniques that can provide skillful, timely and usable forecasts for decision making in different sectors in Ethiopia. Andualem got his bachelor’s and master’s degrees in Meteorology Science from Arba Minch University, Ethiopia. His graduate thesis was on evaluation of climate change impact on stream flow over the Gilgel Abbay river Basin of Ethiopia and he assessed the possible implication of different climate change scenarios on water resource availability over a river basin in northwestern Ethiopia. Andualem started his career as a meteorologist at the National Meteorology of Ethiopia (NMA) and later joined the Ethiopian Institute of Agricultural Research (EIAR) where he served as researcher/Agrometeorologist and director of the Climate and Geospatial Research Program. At the NDMC, Andualem is part of the NASA funded Seasonal Prediction of Hydro-Climatic Extremes in the Greater Horn of Africa project where he evaluates different gridded climate datasets and assess the skill of seasonal climate prediction techniques over the Greater Horn of Africa Region. Follow the NDMC on social media to receive the latest information and updates about our work.